Incessant chatter about the people, places and things that simply take your breath away! Gasp.Swoon.Faint's fabulous food "Catch me!" style episode feat. Bren Herrera and Jennifer Zyman! Gasp.Swoon.Faint's Summer Ice Cream Spectacular! The Broke Socialite chats with Denise Quashie, organizer of the Barkworld Expo! The Broke Socialite learns about kettlebells from Delaine Ross! The Shoe Show! featuring Ann Roth of Ann Roth Shoes! Gasp.Swoon.Faint's very first "Catch me!" episode, featuring Nyssa Green and Erin Bailey! 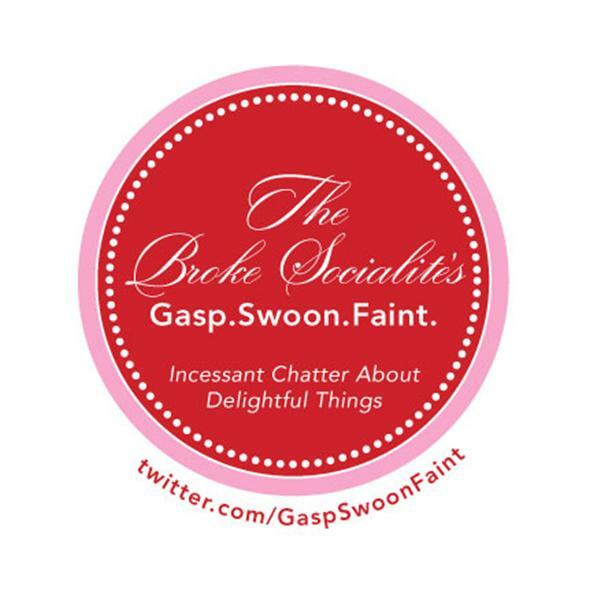 The Broke Socialite Chats It Up With The Elegant Thrifter!